The much anticipated Tecno Camon C8 (a.k.a Tecno Camon8) is now available in Nigeria. The Tecno C8 – a camera centric Android smartphone is another affordable phablet from Tecno Mobile designed to offer users’ an impressive image-capturing capability and awesome mobile data speeds. It is the first phablet by Tecno to sport Android OS, v5.0 Lollipop (64-bit) offering rich Android experience with a 1.3GHz Quad-core processor and a high resolution 5.5-inch screen with Corning Gorilla Glass 3. Just like the Tecno Boom J7 known as the first member of the Tecno Boom series, the Tecno Camon C8 that is just introduced is another member of the Tecno Camon series that focuses more on camera. 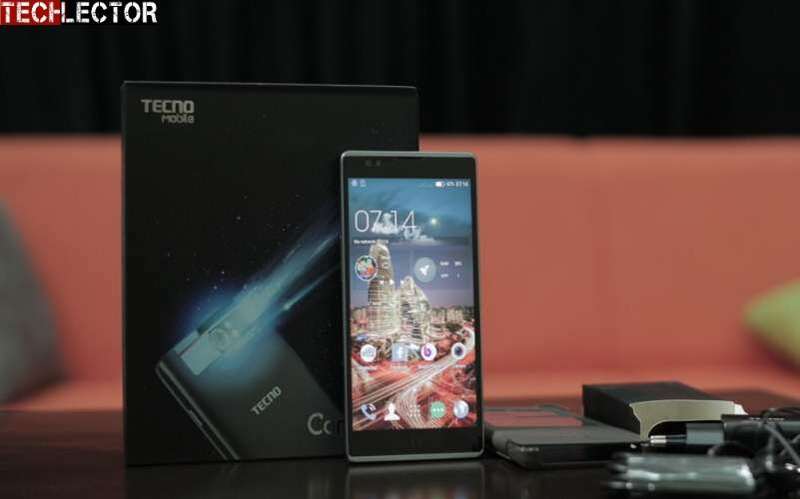 Tecno C8 parades a very attractive design, but that is not to say it will win an award for its looks. It is not clear how thin or light the Tecno Camon C8 is yet. The C8 was designed to bring so much convenience for your smart life that will be definitely beyond your expectation. Tecno Camon C8 is fitted with a large 5.5-inch diagonal display with an HD resolution. That screen resolution, combined with this being an IPS panel, means you are in for decently enjoyable viewing experience on the device. Tecno C8 sports a 5.5-inch IPS screen that makes it fall in the phablet range and with 720 x 1280 pixels resolution. On the back is a maddest 13 megapixels camera with dual LED Flash. Interestingly, Tecno Mobile provides dual LED flash and autofocus for the main camera.It let your ideas break free from the darkness for the optimum brightness and easier focusing in low light. You can record stunning night-scape, breathtaking scenery and every extraordinary moment with the aid of its awesome camera lens. The Camon C8 also features a 5 megapixels front facing camera for selfies and video calling. It comes with an ample storage of 16 GB which can also be expandable up to 32 GB via its microSD card slot. Under the hood, Tecno Camon C8 carries a quad-core processor clocked at 1.3 GHz. RAM of 1 GB means that this device is capable of delivering a level of performance that will be more satisfactory to users who do not leave many apps open at the same time. The Tecno Camon C8 rcomes pre installed with Android 5.0 Lollipop operating system, making it probably the first phablet from its maker to run on that software version. Connectivity features include microUSB, Bluetooth and Wi-Fi. Tecno Camon8 also boasts dual-SIM functionality. Tecno Camon C8 phablet is now available in Nigeria. You can buy the camera-focused smartphone at leading online and offline stores near you in Nigeria. Tecno Camon C8 Price in Nigeria ranges from N25,000 to N29,000 depending on your location in the country. I have not seen anything sleekier in a while. This Machine is very Q.